Maurizio Sarri has tipped Eden Hazard to score 40 goals for Chelsea this season. 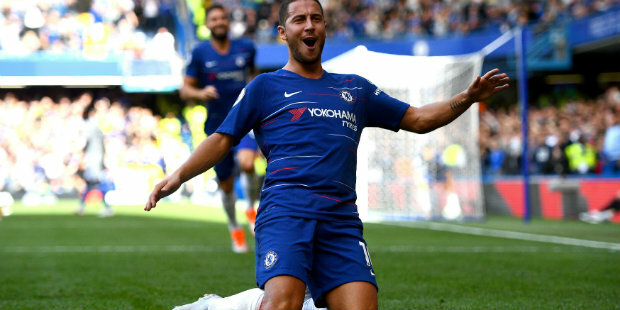 Belgium playmaker Hazard bagged a fine hat-trick as Chelsea thumped Cardiff 4-1 at Stamford Bridge, to move top of the Premier League on goal difference. New boss Sarri became just the fourth man to win his first five matches in the Premier League, as the Blues extended their 100 per cent record in style. Italian Sarri then revealed he told Hazard on Friday that he can boost his goal return considerably – by focusing on operating solely in the final third. “Yesterday I said to him that for me you can score 40 goals,” said Sarri of Hazard. “But you have to spend less energy far from goal and you have to play in the last 25 metres of the field. “I think that he can spend less energy than he does now at 50 to 60 metres from the opposite goal. Hazard’s top return for Chelsea to date is the 18 goals scored in the 2016/17 campaign, with 16 of those coming in the Premier League. 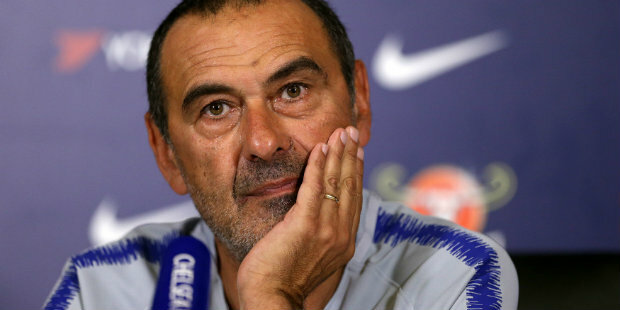 But Sarri believes the 27-year-old has the chance to boost his goal return out of sight – and become the best player in Europe at the same time. “When I arrived I thought that Hazard was one of the best players in Europe,” said Sarri. 1 Comment on "Sarri: Hazard can score 40 goals"
Without doubt currently hazard is the best in the world,his best is yet to come,especially in the hands of the right manager,sarri.If he continues like this which i see happening he may end up winning the ballon d’or next season.